By decision of the Board of Directors, NOVA.id.FCT - Associação para a Inovação e Desenvolvimento da FCT (“NOVA.id.FCT”) opens an international call to hire a PhD Researcher, with the internal reference “#NOVAID01”, under a unfixed term employment contract to conduct research activities in the field of Chemistry in the scope of the Project Development of polymer ionic liquid based CO2 capture technology - PTDC/QUI-QFI/31508/2017, financed by “Programa Operacional Regional de Lisboa, na componente FEDER” and by “Fundação para a Ciência e Tecnologia, I.P.”. The hiring of the PhD Researcher shall be made by means of an Unfixed Term Employment Contract entered into in accordance with the Portuguese Labour Code approved by the Law no. 7/2009 of February 12th, as amended. The contract should have a forecasted duration of 30 months, and should not be extended further than the project duration. The contract should begin in December 2018. The present hiring procedure is further governed inter alia by Decree-law no. 57/2016 of July 19th, as amended by the Law no. 57/2017 of August 29thand Regulatory decree no. 11-A/2017 of November 29th. 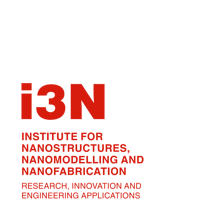 The PhD researcher will be focused on the development of new ionic liquid-based materials for CO2 capture, namely, will be through the synthesis and complete characterization of the materials to be used in CO2 capture and its evaluation by NMR techniques under CO2 capture and conversion conditions. The PhD researcher will also participate in the implementation of the prototype for CO2 capture. The PhD researcher will thus be involved in all the tasks planned under the PTDC/QUI-QFI /31508/2017 project. The PhD Researcher shall fully devote the whole of his/her professional activity to NOVA.id.FCT, on an exclusive basis. The PhD Researcher’s working place shall be at the premises of the Cenimat NMR laboratory, in the Polymer laboratory of the Department of Materials Science and in the NMR laboratory of the Department of Chemistry at FCTUNL and he/she shall travel, in Portugal or abroad, as required by his/her attributions or as necessary for his/her activity. The PhD Researcher shall earn a monthly remuneration in the gross amount of € 2.128,34 by reference to the 1st grade of the salary scale, pursuant to number 2 of Article 15 of Decree-Law no. 57/2016 of 19 July, as amended by Law no. 57/2017 of 29 August, and Regulatory Decree no. 11-A / 2017, of December 29.
d. Experience in polymer synthesis. c) Quality of the Interview (10%). The interview will be done only to the candidates with classification higher than 65% in the first two criteria. The final deliberation of the jury shall be homologated by the ultimate governing body of NOVA.id.FCT that is also responsible for the decision of hiring. The list of admitted and excluded candidates and the final list of classification will be publicised on the website of NOVA.id.FCT (www.novaidfct.pt) and sent by electronic mail with receipt of delivery to all candidates. f) Two contacts for references.